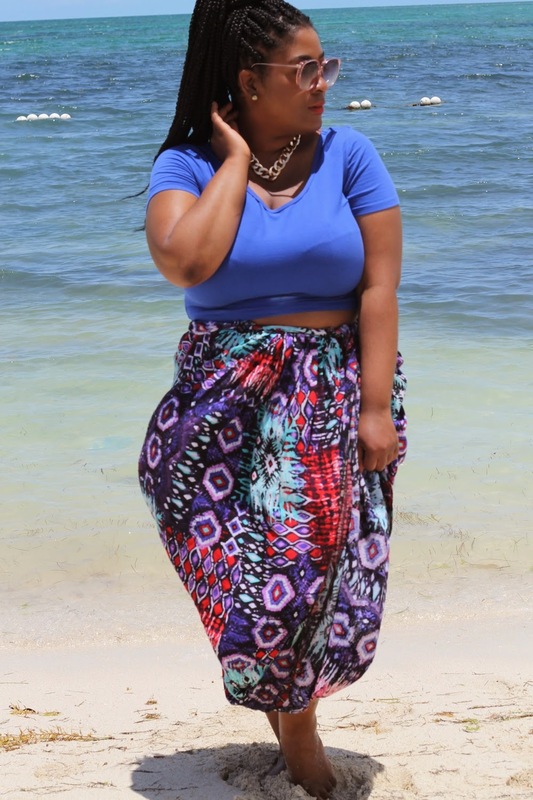 I can't seem to get enough of crop tops and maxi skirts! Whenever I wear this custom maxi skirt by Chargrel's Couture (Remember, you saw it here first and here on Instagram) I always feel ]great in it. It's so colorful, flowy and fun and did you notice it has pockets! Don't you just love skirts with pockets? They are so cute! This was the perfect look to stroll Nassau, Bahamas during my vacation. If you watched my latest YouTube video, the plus size tag (Part I, Part II) then you know I said this season I was going to play around with the crop top. I think for me, pairing crop tops with high waist bottoms works best for my frame. I'm a fan of peek-a-boo skin. 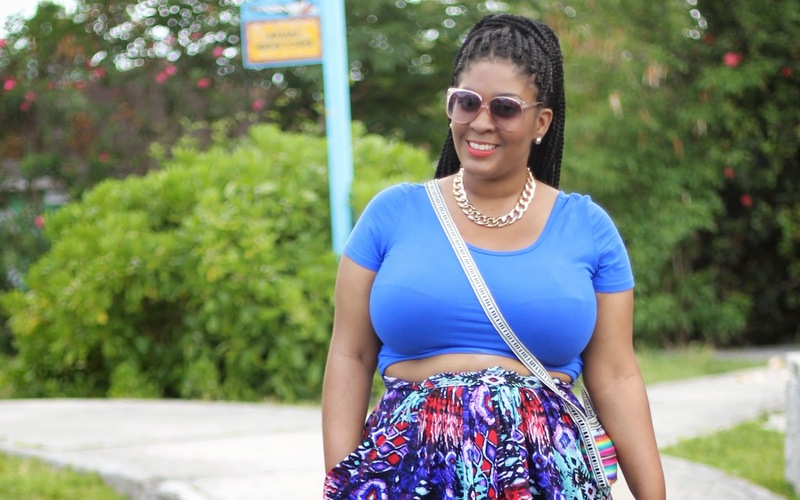 Have you rocked a crop top this season?